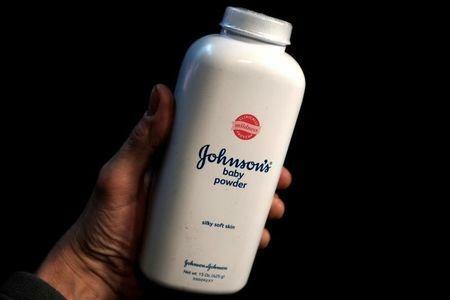 NEW YORK (Reuters) - Johnson & Johnson <JNJ.N> was ordered by a U.S. jury on Monday to pay $55 million to a woman who said that using the company’s talc-powder products for feminine hygiene caused her to develop ovarian cancer. The verdict, which J&J plans to appeal, was the second straight trial loss for the company, which is facing about 1,200 lawsuits accusing it of not adequately warning consumers about its talc-based products' cancer risks. J&J spokeswoman Carol Goodrich said the verdict contradicted 30 years of research supporting the safety of cosmetic talc. The company intends to appeal and will keep defending its products' safety, she said. Jere Beasley, whose firm represents Ristesund, said his client was gratified with the verdict. The jury's decision should "end the litigation" and compel J&J to settle the remaining cases, he said. That verdict, which J&J is appealing, sparked renewed interest in talc-powder lawsuits among plaintiffs' lawyers, as well as consumers familiar with J&J's powder products. But scientists have told Reuters the evidence of a real danger is inconclusive.